Machine Intelligence | Personal site of Cosmo Harrigan. Personal site of Cosmo Harrigan. 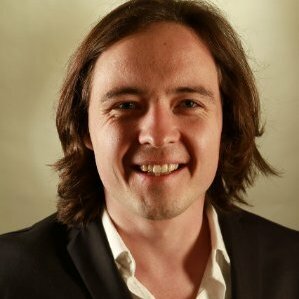 Cosmo Harrigan is an internet entrepreneur and a researcher in reinforcement learning, algorithmic information theory and artificial intelligence. He is interested in answering the fundamental questions required to build machine intelligence. He graduated with honors from the Applied Computational Mathematical Sciences program at the University of Washington with a focus on Discrete Math and Algorithms. He also graduated from the Singularity University Graduate Studies Program at NASA Ames. In his company ChannelAgility, he led a team that designed and implemented a proprietary software architecture for a complex real-time e-commerce price optimization and demand forecasting service for the Amazon.com marketplace. In his company Streamline Audio Video, he bootstrapped a multimillion dollar company with offices in the United States and Manila, Philippines. He is an experienced project manager, researcher, executive and software architect. He is also on the board of directors of the Center for Media and Democracy and speaks fluent Spanish.